New Reports by Apteligent shows that Motorola was the fastest in terms of Updating Their Smartphones in the US ( Excluding Nexus Smartphones ), while ZTE was the slowest in Rolling Out the Updates. 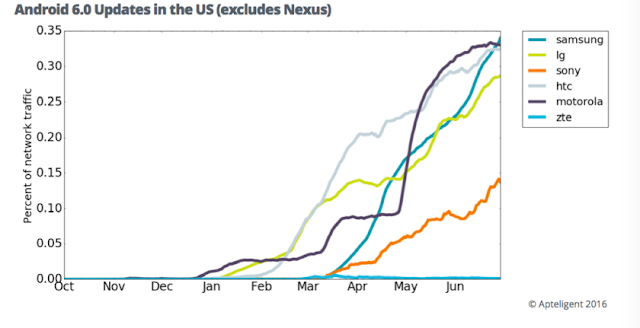 As You can see in Above Graph, Excluding Nexus Devices, Motorola was the fastest to Update their Smartphones to Android 6.0 Marshmallow. 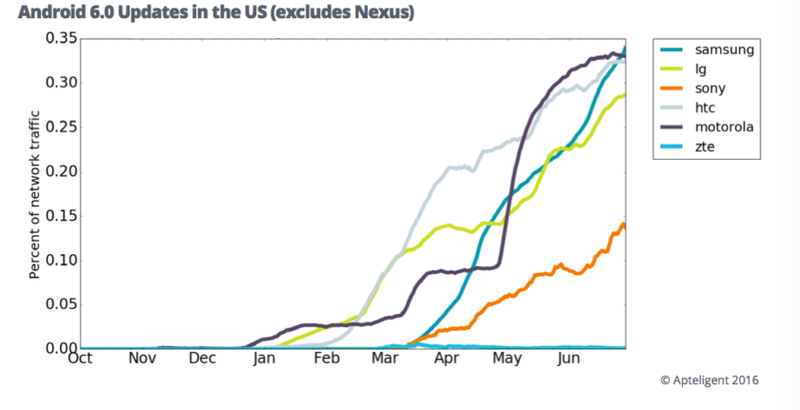 Following Motorola, LG also proved to be fastest in rolling out updates. 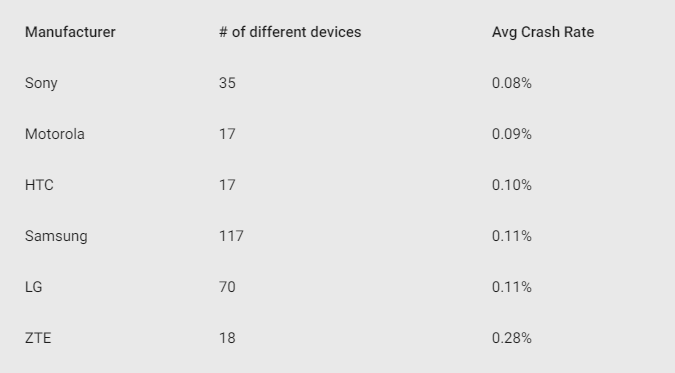 This New Reports also shows that After Sony, Motorola Smartphones crashed the least while ZTE Smartphones Have the highest Crash Rate. Altogether, After Nexus, Motorola proves to be the best in Software updates and Stability of Devices.